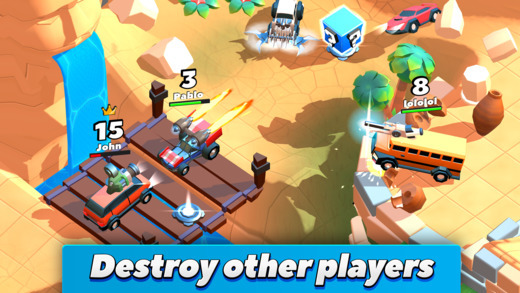 Home #LOL Crash of Cars – Smash your opponents in a crazy 3D arena! 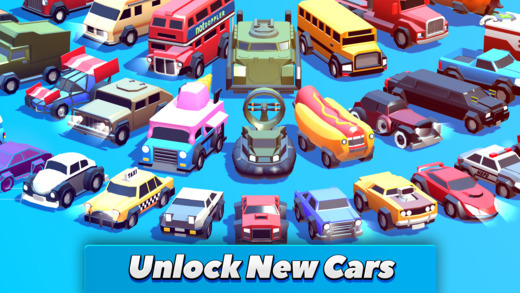 Crash of Cars – Smash your opponents in a crazy 3D arena! As a kid did you love playing crazy Bash&Crash racing games that consisted mostly of crashing your car into your opponent until one of you exploded…? If so today we’ve found a mobile .io game you need to know about! 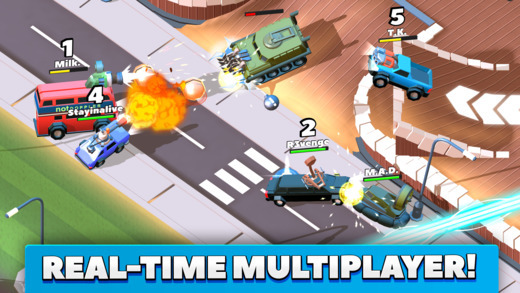 According to the Apple App Store, Crash of Cars is a “REAL-TIME MULTIPLAYER game where your goal is to collect as many crowns as possible before getting destroyed.” This is very interesting considering the game works in “Airplane Mode” but that’s another story. 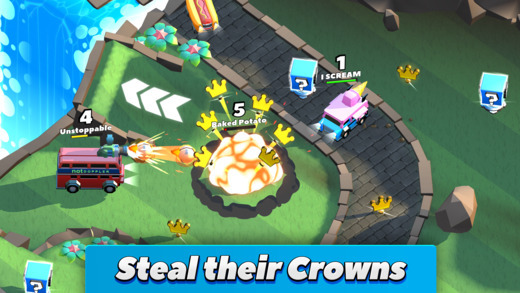 Set in a 3D battle arena, your mission in this game is to collect items you can use to blast your opponents with – while trying to collect crowns – while also doing your best to stay alive… So many things to do at once… Whether you’re playing against real people or computers, your opponents in Crash of Cars are brutal(!) and won’t think twice about killing you. Luckily there aren’t too many ads, so you probably won’t need to worry about being forced to watch an ad after dying 3 seconds into the game. Now, for players who love playing .io games such as diep.io, slither.io, or agar.io, Crash of Cars is a little different. 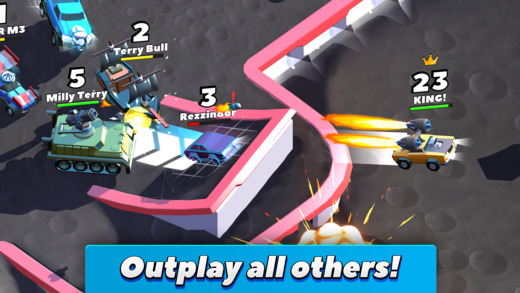 Although very awesome, Crash of Cars isn’t entirely fair by most .io game standards. You see, this game is played using cars and weapons you can unlock by playing the game “x” number of times. This is very different to the majority of .io games where every player starts out at the same level meaning this game isn’t entirely fair. Luckily Crash of Cars doesn’t favor older players over new players too much meaning you can still win as a new player.